Thalikkulam Beach Resorts is private beach resort located near Thalikkulam and Nattika beaches near Thrissur. The Beach offers several kinds of accomodation which includes cottages, restaurants, Ayurveda facilities etc. 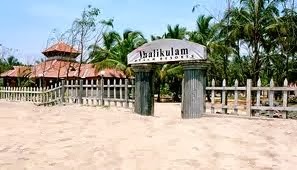 Thalikulam Beach Resorts Pvt. Ltd.
Nambikkadavu, Thalikulam-680569, Trichur, Kerala, India.